Have you heard “The Piano Guys”? If not here’s your chance. 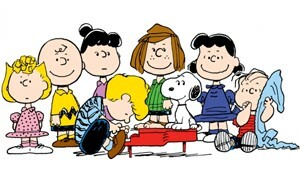 Who doesn’t love the “Peanuts Gang”? I am a huge Snoopy fan and this song brings back memories. The Piano Guys do this so well and I love where they are performing. This song makes me smile and warms my heart. I hope it does the same for you on this Monday. Have a great week and enjoy the simple things that make you smile. Categories: Finding Joy, Happiness, Just Because, MUSIC, Music Monday | Tags: Charlie Brown Medley, finding joy, Happiness, Joy, motivation, Music, Peanuts Gang, Peanuts Theme Song, Piano Guys, simple things, The Piano Guys | Permalink.